I am an artist living and working in England. After graduating from the Armando Reverón University Institute of Fine Art, Venezuela in 1996, I moved to London where I obtained my MA in Fine Art from Chelsea College of Art and Design in 1997. My work is represented by the Colección Patricia Phelps de Cisneros and has been exhibited widely, at the V&A Museum, London, the Museo del Palacio de Bellas Artes in Mexico City, and the Museum of Contemporary Art in Caracas. My practice spans different media, including installation, video art, animation, digital images and sculpture. I am particularly interested in creating alternative realities or quasi-real realities that disturb our relationship with landscape, spaces and our experience of the world. In the series Anecdotal Landscapes, for instance, although the imaged landscape is barely believable as a document, it is still a conceivable possibility. In installations works such as Encounter, Monster of Reality and Traslación. Entornos miliarios, the viewer is confronted with images and sounds designed to be “detonators” of personal narratives and memories. 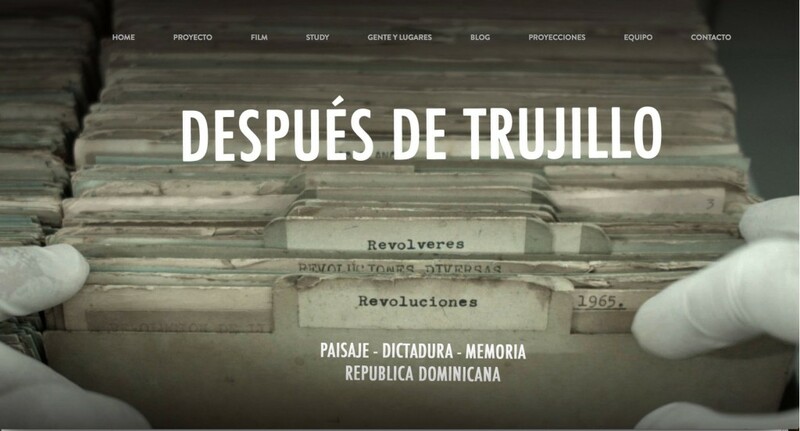 My most recent project was a feature-length documentary filmed in the Dominican Republic, which has been screened in the US, Canada, Latin America and Europe. After Trujillo is a journey through monuments, gardens and ruins, where the ghost of dictatorship live on.